Attorney, executive, Democratic Party insider, son of long-time Chicago Mayor Richard J. Daley and brother of long-time Chicago Mayor Richard M. Daley. 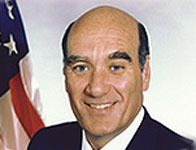 Helped broker 1993 North American Free Trade Agreement (NAFTA), and later served as Secretary of Commerce in the Bill Clinton administration, succeeding Mickey Kantor in 1997 and succeeded by Norm Mineta in 2000. Advisor for political campaigns of Clinton and Walter Mondale, and chairman of Al Gore's 2000 Presidential campaign. Appointed White House Chief of Staff by President Barack Obama in 2011, succeeding Rahm Emanuel, he then quit in early 2012.